The Family & Learning Center would like to share an upcoming event with you. Save the date for an upcoming conference about Assistive Technology Tools For Dyslexia. Katie Larew is a CERI certified Orton Gillingham Dyslexia Practitioner and RESNA certified Assistive Technology Professional. Katie is currently on the International Dyslexia Association Board of Directors of the San Diego Branch. With 12 years of experience in Special Education, Katie brings knowledge of the value & strategies of providing AT support for students to access their curriculum. Currently, she provides consultations, trainings, and staff development workshops as an Assistive Technology Specialist. This presentation will focus on supports available to students on Apple & Chrome platforms. Supports include text-to-speech, speech-to-text, word prediction, access to digital text, and much more! Bring Your Own Device (BYOD), or use one of our loaners. We will send you the live links in advance so you can download the apps and programs if you’d like. 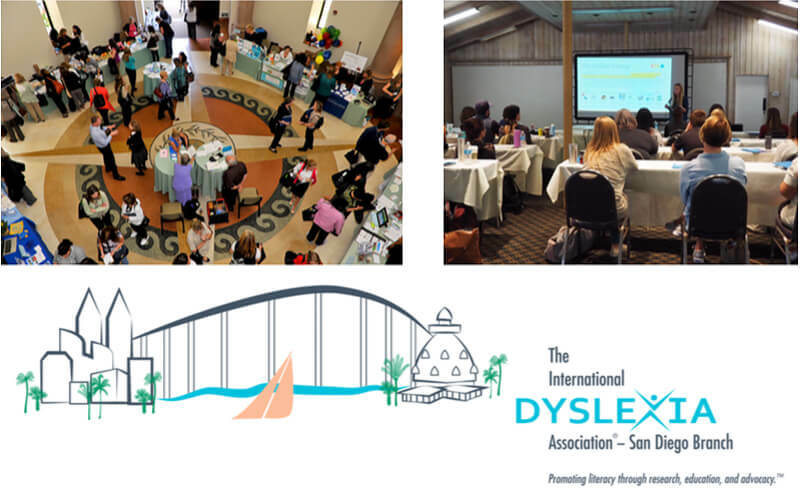 Be sure to visit the official website for more information on the International Dyslexia Association – San Diego Branch. The Family & Learning Center also offers Dyslexia Strategies and Solutions.